Leading Manufacturer of led c-max cranes lights and led canis crane light from Bengaluru. 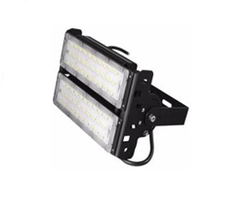 C-MAX LED CRANE LIGHT is an extremely flexible and versatile LED solution that ensure an excellent quality of light, targeted where is required, at the same time allows to decrease the hot spot and improve the light distribution onto different position. The LOKOZO Crane luminary is designed specifically for use on Marine/Offshore boom cranes where high performance, high reliability, White-Light illumination is required to ensure the safety of crane operations. LOKOZO is designed to provide a high quality white light illumination to ensure safe operation of the crane for both operator and personnel working in the near vicinity, leading to improved productivity and a safer working environment. perception. § Improve driver comfort with uniform white LED light. 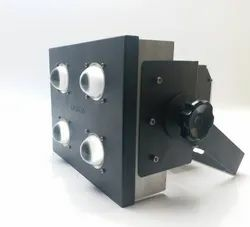 CANIS LED CRANES LIGHT is an extremely flexible and versatile LED solution that ensure an excellent quality of light, targeted where is required, at the same time allows to decrease the hot spot and improve the light distribution onto different position for the playing field. Looking for CRANES LIGHT ?